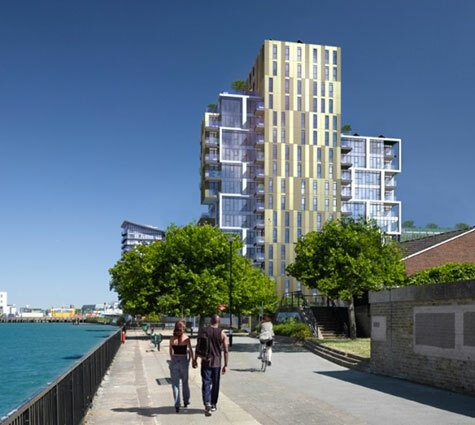 Barry Angel the Executive Chairman of Albany Homes Developments has just sold a scheme at King Henry’s Dock for 100 flats with planning (72000 square feet) at South East London Aquatic Centre, Europe Road in the London Borough of Greenwich to Concept Business Group. Mr. Angel said that he had a particular affinity with this development having recently led the way in challenging the Council when he successfully appealed his affordable housing obligations. This appeal was decided under a new mechanism introduced by the Growth and Infrastructure Act 2013, which allows developers to appeal to the Planning Inspectorate (PINS) if they believe that the affordable housing requirement made as part of the section 106 agreement renders a scheme unviable. Barry Angel said how sorry he was to have sold such a great development but the sale gives him an opportunity to move onto other deals and further expand Albany’s business.